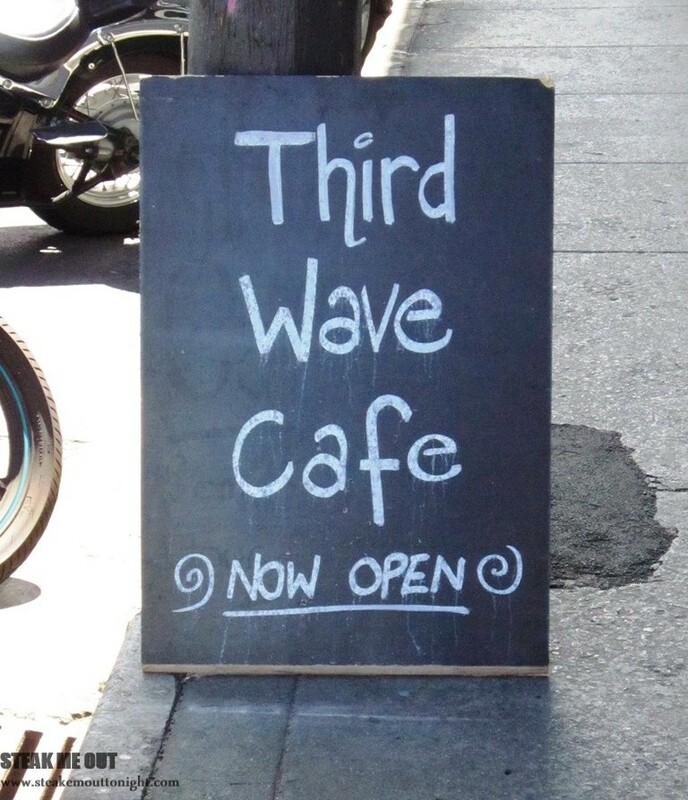 Disclaimer: I dined as a guest of Third Wave Café. Tucked away on Cato Street, this unassuming café is the second location for the mastermind that is behind the Third Wave Café in Port Melbourne. On arriving I was met by the owner/operator Greg – having seen their menu online I was eager to chat with him about the concept behind Third Wave. The space they’ve opened is somewhat like their menu: a slight air of inconsistency in motifs, Wine lines the shelves behind the counter with coffee in front while a wall of plants lines one end, the rest of the café under-toned with chocolate trim and the cream pressed-metal face on the bar. It’s designed sleek and modern but still feels homely. To quote my friend, “it’s just got that Melbourne vibe.” Wandering the surrounding streets, it definitely fits in. My friend and I ordered some coffee (they use beans from 5 Senses, a great drop) as we spoke about the concept for the menu. Greg’s philosophy is simple, “I just want to serve tasty food to people, and it doesn’t matter where it comes from”. The menu originally started with the Russian cuisine, as it was a part of him, then he added his take on American BBQ after having undertaken extensive research, trial and error using 120kg of meat perfecting recipes during this time, I call that commitment. Being a blog about Meat I asked him to bring me whatever he thought would best represent Third Wave to me. 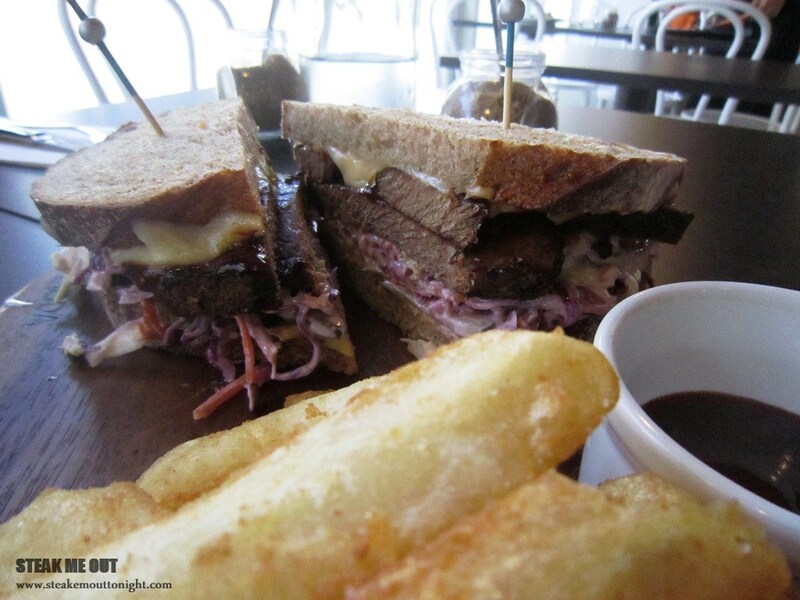 He suggested their take on the classic Reuben sandwich, their burger and a mixture of pork and beef ribs. First up was the Reuben. Mustard, Coleslaw, Horseradish Cream, Pickles, Swiss cheese, house made BBQ sauce and sizable slabs of slow smoked beef brisket sandwiched between two pieces of toasted Rye. Everything in this sandwich worked. The bread was well toasted; the brisket was soft, deliciously smokey and had a hint of spice coming from the dry rub. The Mustard and Horseradish gave it a good tang and zing, while the BBQ sauce sweetened. 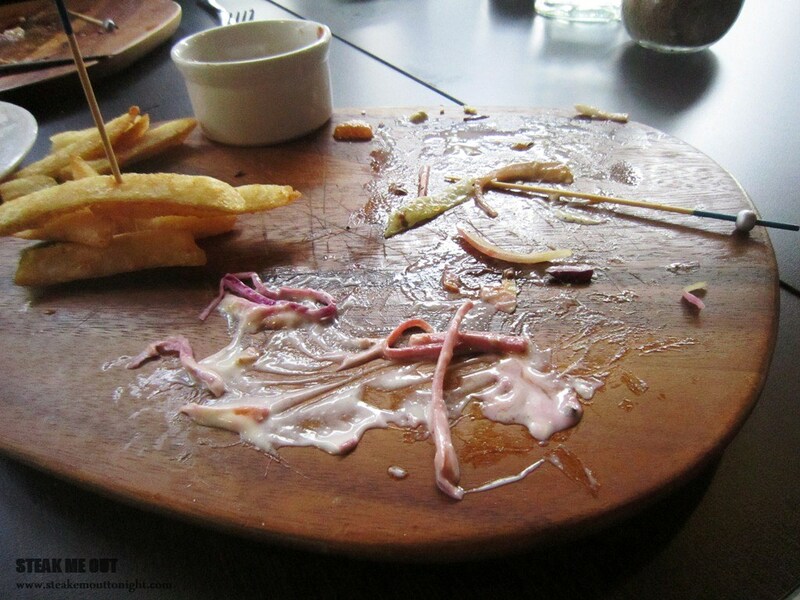 The coleslaw added another hint of sweetness, and lent the crunch along with the pickle which also gave off a burst of saltiness. Finally the cheese to top it all off was impeccably melted. At the risk of sounding bias, the only word I can and want to use to describe this sandwich is perfect. Next up was the burger. Greg had warned us that it wasn’t your typical burger with the patty being mixed with two different cheeses, spices, herbs and sundried tomatoes. 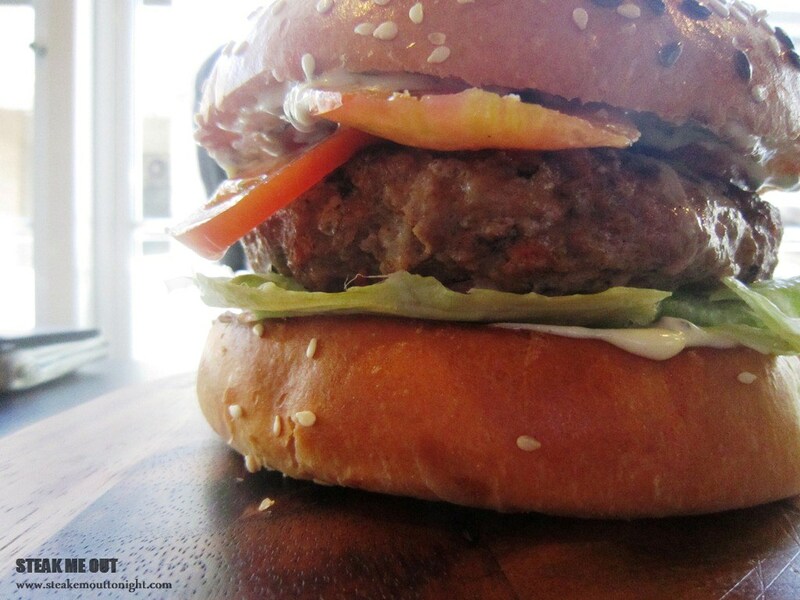 In order to compensate for this immensely flavoured and massive (250g) patty the burger was dressed lightly, only having lettuce, tomatoes and basil mayo served on a brioche bun. Cutting into it the juices cascaded down the burger, and visible in the patty were pieces of sundried tomatoes and herbs. 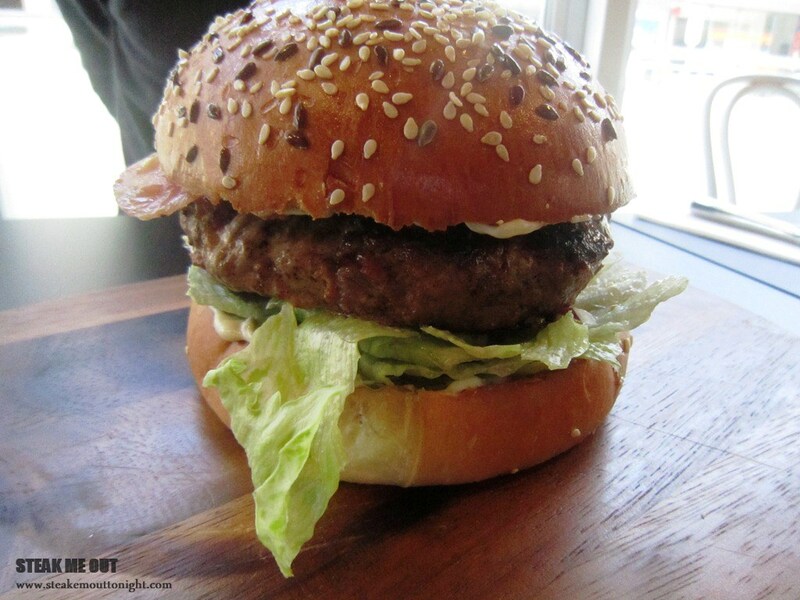 The burger worked well as a whole, the bun giving soft sweetness to the rich patty with the basil and mayo complementing it, then finally, just enough lettuce for some crunch. With Burgers, it’s all about personal preference, and while it was a splendid burger it wasn’t what I personally look for in one. If you like a gourmet-style patty however, this is probably right up your alley. Last but not least, (in my opinion) the main event: The ribs, Beef and Pork served on a bed of Diamond cut chips, a bowl of coleslaw, horseradish cream and their house made BBQ sauce. Here’s another angle of their beauty. 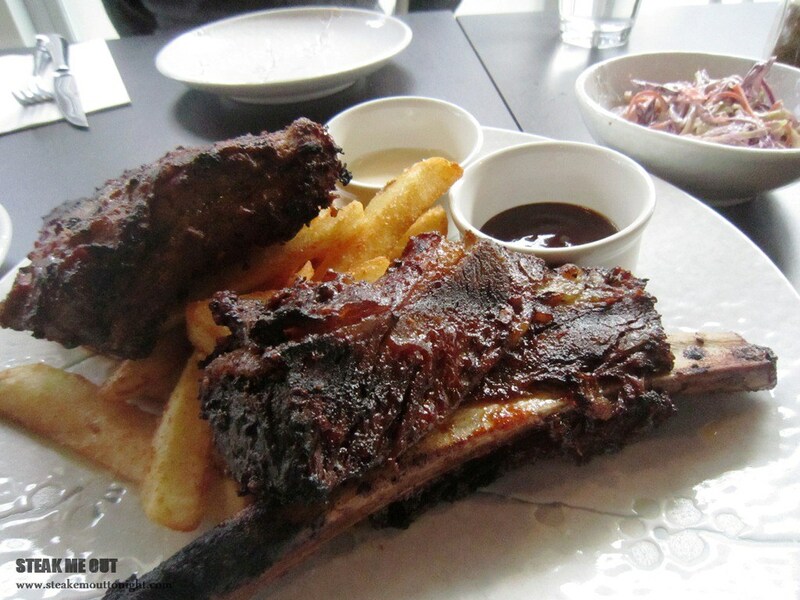 Beef ribs have never been something I would order, ever, so I was sceptical when Greg said to try them. One bite in and I was a beef rib believer. It was literally fall of the bone tender, and that weird beefy smell and taste you sometimes get was non-existent. It had a similar rub to the brisket, and was charred, smokey and succulent. We were told to eat it with the two sauces and coleslaw to get the full extent of the dish; it was revelatory, practically faultless. 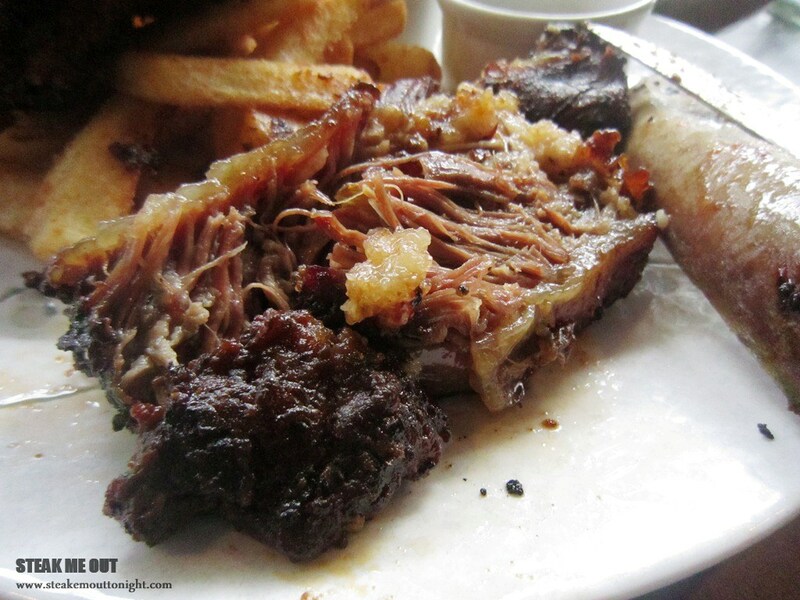 I did plan on taking another photo of the pork ribs cut up but I must admit once I bit into them it slipped my mind. They were also soft but held just enough texture that you still needed to bite which I loved. The meat, covered in a sweeter sauce with a hint of tang (compared to the beef), came clean off the bone. One hour and 3 dishes later we were thoroughly full and stupendously satisfied. 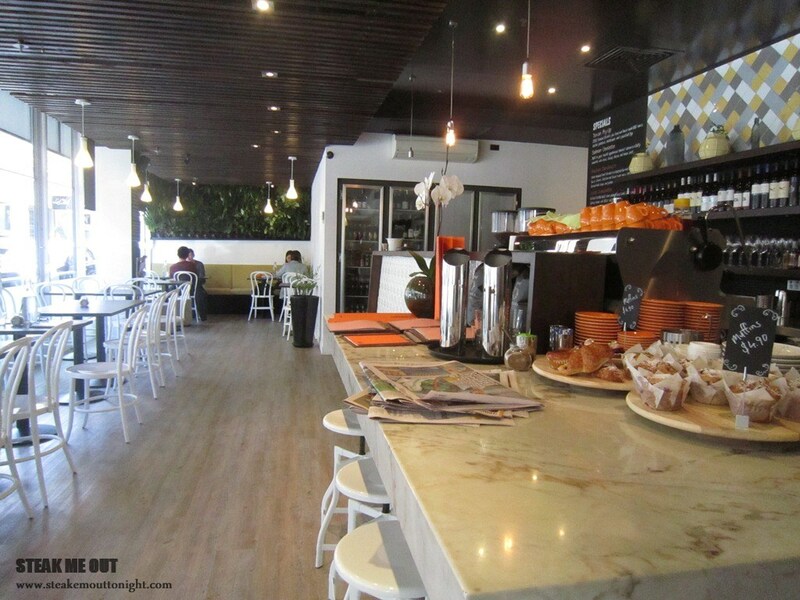 The team at Third Wave is doing a whole lot right, quality food, reasonable prices and a great relaxing atmosphere. To anyone who revels in good American BBQ, Look no further, there’s a new Sherriff in town, and hopefully they’re here to stay. 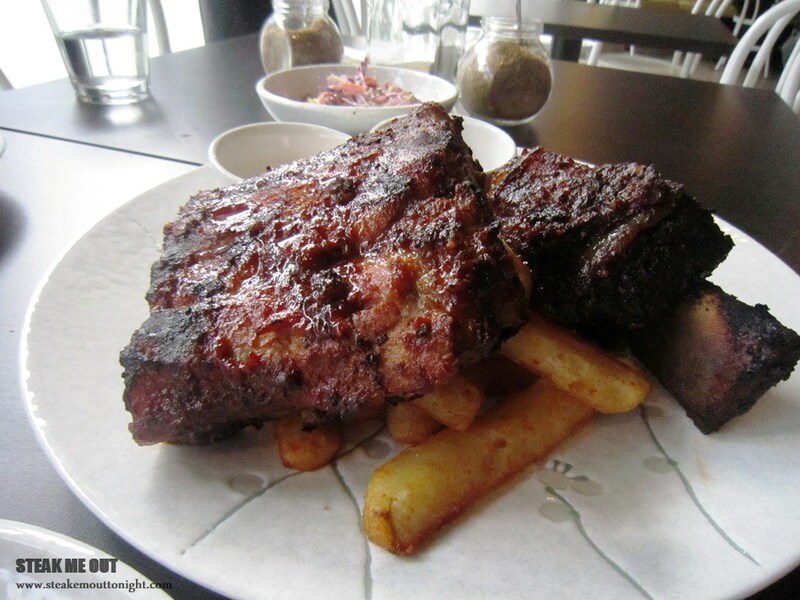 Posted on October 30, 2013 October 13, 2015 by AdrielPosted in Brunch n Lunch, Meats, Melbourne, RibsTagged Barbecue, BBQ, Burger, Meats, Melbourne, Prahran, Reuben, Ribs.